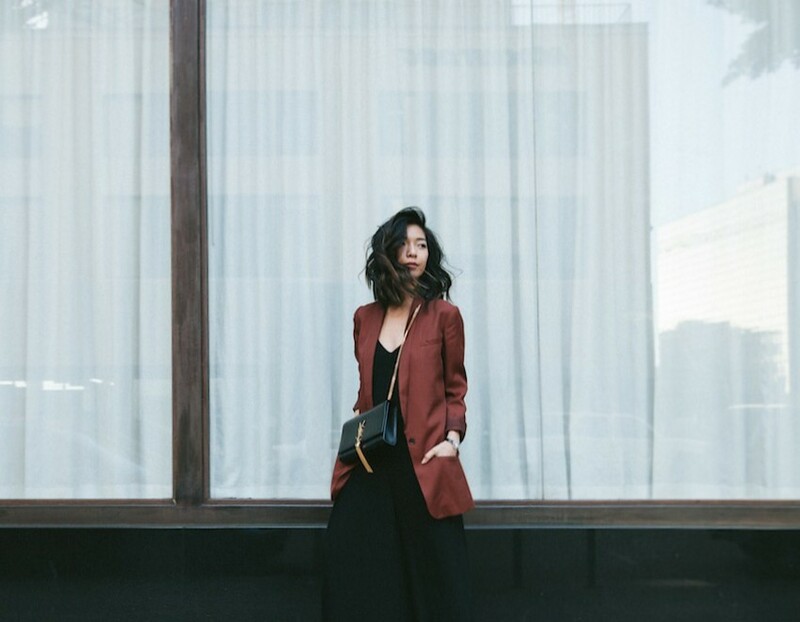 Having a moment in downtown in wide pleats. Foxiedox jumpsuit. H&M blazer. Saint Laurent bag. It's been a long minute since I've seen downtown and the stylish community of the burgeoning Broadway district amazed me. A.P.C., Oak, and coming-soon Australian retailer BNKR among plenty of other chic boutiques and cafes line the blocks near the Ace Hotel that currently resides as the epicenter of cool. A destination like Broadway makes the traffic-y trek worth it. Super chic, love your blazer! The color of that blazer is kind of amazing! !